So what is the most difficult part to being in voiceover? No, it is not dealing with clients. (I love my clients, even the more challenging ones). The technical stuff can be difficult for some, but for others it can be a breeze. 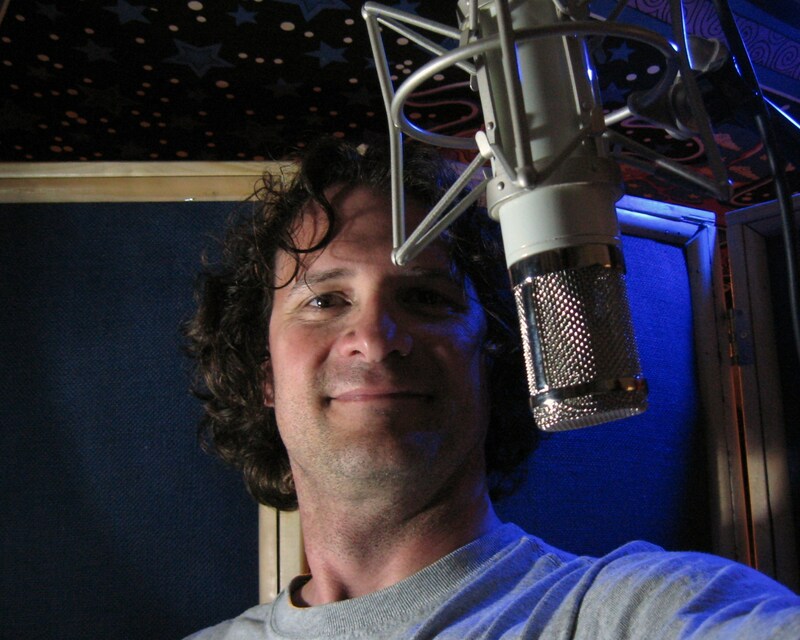 I believe that the the most difficult part of being a voice talent, for nearly everyone in this business, is the same thing that is difficult for my children…patience. I don’t mean to imply that voice talent are like children, but let’s face it, we can be a sensitive and impatient bunch. My friend Bill DeWees recently held an audio book seminar where he said this; “a voiceover career is a marathon, not a sprint”. 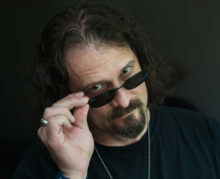 At Faffcon 3, my friend Paul Strikwerda dropped this “golden nugget” which he’s allowed me to share with you; “We live in a microwave culture, but voiceover… is a crock pot career.” I love these quotes. They are simple and effective analogies, reminding us that patience is key to success and survival in this business. Waiting can be difficult because it often coincides with fear of the unknown. It gives people a lot of time to get in their own heads and fool themselves into thinking something bad is happening, or nothing is happening at all. Furthermore, our “microwave culture” has become so accustomed to having it our way and getting it now, that we often forget the old adage… good things come to those who wait. Progress often occurs so slowly that it seems as though nothing is happening, but it is important to remember that as long as you are (back to Paul’s crock pot analogy) adding ingredients to your career and allowing everything time to cook properly; you will over time, get tasty results. Nearly every skill involved in a voiceover career takes time to develop and cultivate. Learning to use your ears and apply the knowledge gained from listening… takes years of listening. Learning to understand and communicate various emotions that a script calls for, requires years of experiencing emotions and perhaps more importantly, recognizing how others express emotions. Having patience is a requirement to learning the craft and is also necessary when promoting and selling yourself. Making a great demo will take time and can take several attempts. A marketing plan and developing the materials necessary to implement it, takes creativity as well as patience to ensure that it will be effective. You also must have the understanding that after you’ve sent your demo and marketing materials to prospective clients, an immediate response is highly unlikely and a lack of response does not always equal rejection. So what is a voiceover talent to do while things are on a slow simmer? My suggestion… keep a positive attitude and take one step each day to keep your career moving forward. A step can be as big or as small as you like. Just keep moving forward. Also, don’t overlook the signs indicating that things are moving in the right direction. Not all of the signs will be as obvious as, “We love your voice and would like to hire you.” A sign can be as small as a positive response to an email, tweet or post. Do not underestimate the power of these smaller signs. While they may not seem like very much at the moment, these signs are often a very important ingredient to having the delicious crock pot career you’re working on (kind of like the spice cumin… a little goes a long way). Also remember that these signs are not just about you. Undoubtedly, the small steps you take are helping someone else create a tasty career as well. Like you, they just may not know it yet. Doing great Jodi! I hope you are as well. Thanks for commenting, We must keep on… keeping on! That’s always the goal, Dan. 🙂 And I’m doing great, thanks! Thank’s for this, Dan. This is absolutely my biggest challenge and your article is a wonderful reminder to stay focused and to keep forging ahead . You are not alone Jan! This is true on multiple scales–one’s career as a whole, bookings over a quarter, or even just those times after they mute the talkback, leaving you alone in a silent booth with nothing but your paranoia until they click back in and tell you that you rock. Absolutely true Amy! Those few seconds of silence can be agonizing. Great words of wisdom Dan. I know that one of my biggest faults has been patience. I do think that most of us suffer from this problem because of our passion for voiceover! For those in this business who simply want to succeed to be able to stand in a spotlight and say, “look at me…” the microwave method won’t last long until they get disinterested and move on to their next attempt at ‘fame’. For the majority of us who crave success and often get impatient, it’s craving the success for the personal satisfaction of wanting to succeed for ourselves! So it should be for “Ourselves” that we do our best to be patient and know that if we do, good things will come, in time!! Thanks for your comment Derek. Patience is very tough for me as well. Great thoughts Dan! It’s so easy to be paranoid and impatient in this business. Just taking those small steps everyday does pay off…..too many who enter this arena quit before the seeds they plant ever have the chance to grow. Thanks Chuck, I’m glad you enjoyed it. It is incredibly rewarding to find out that a simple comment could lead to such an eloquent blog. You are writing about something very few people want to hear these days. In a time of instant gratification and fast food culture, patience is the last thing on people’s mind. We want our share of the American dream, and we want it NOW. We want the economy to be all better, and we want it NOW. We want to land that lucrative deal, and we want in NOW. What’s behind our lack of patience? A lack of understanding of what it takes to build a career. A lack of respect for what others have done to reach a certain level of success. A lack of maturity to be able to handle delayed gratification. A lack of insight to realize that there are no silver platters and shortcuts to the top. A lack of willingness to learn from nature. The softest wood comes from the fastest growing trees. It takes a minor storm for them to come down. Tall trees have deep roots and the hardest wood takes years to grow. Thanks for a wonderful blog, Dan! Paul, your writing could inspire many blogs. Thank you for your kind words and comments! You are too kind Bob! Thank you so much for your kind words and ongoing support. Dan, I’m amongst that few who wants to hear what you wrote,as Paul said. And glad to know another readworthy article writer besides a few. . I’ve had that long trip over Crock Pot Highway; skillful road to patience or patient road to skillfulness. Attention to willing to be happy when we get a rewarding gratitude respond… Interpretations of our uniqueness to grow our talent maturity and the way how we experience to understand the others…These makes us *WE*,loving and *willing to learn from Nature*. And good things dissolves in the mental strainer of those who listen,watch,read and OBSERVE the others without microwave culture. Identical experience maturity is the fundamental point of view of Unconditional Kindness for What we Practice; Awareness of Clarity for Our Field(Job). Dan, this blog and has certainly hit home with many of us in this business. Patience is certainly a virtue! I was once told that if you want to work in the voiceover industry you have to be passionate, persistent but most importantly patient. In this fast paced world we live in, its sometimes difficult to remember. Thanks for the reminder. Really enjoying your book Sound Advice! This post came to me just at the right time. A great reminder for me to enjoy the journey. I thank you for sharing your knowledge and wisdom with those of us who are just starting out. I’m so glad that it did and happy I can help Gene! Thank you for sharing this with me. Thanks for reading Stefania! Keep at it, one step at a time. Thanks to Bob Souer, I had the opportunity to read this wonderful post in your blog. 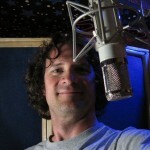 in person at the Voice Talent Productions fete in New York this December! Thank you for taking the time to visit and comment Debbe! I look forward to meeting you too. Thanks to Bob Souer as well for sharing so much with all of us! My pleasure … and yes, a big thanks to Bob Souer for all he brings to all of us in this industry … looking forward to seeing you next month. I don’t know of ANY “overnight successes” in the voice-over biz. Even the heaviest hitters took years before they became so successful. It took me 7 years to finally quit waiting on tables (at the ripe old age of 33). I believe it was Woody Allen who said “90% of success is showing up.” Patient persistence is a necessary personality trait to do well in the world of VO. But while you are in “patience mode,” you’ll need to continue to refine your craft. Take classes from really good coaches. Get involved (or CREATE) a workout group, and make sure you practice with people who are BETTER than you are – you can learn so much through them. Keep on learning about your studio gear. Go to FaffCon, fer crying out loud! Well said Tom! Thank you for taking the time to comment. Like everyone else, I echo the thanks for a great blog. One thing that makes it so hard to be patient, especially when starting out these days, is that you’re usually working alone. Submit auditions via the p-to-p sites or ACX and it can feel like you’re dropping them into a black hole. (Gee, kind of like applying for a job these days too!) That’s one reason why I appreciate the online groups — and those of you who take time to blog and share your experiences and encourage your peers. Thank you Dan, Paul, Courvo and everyone else! Thank you for taking the time to comment Cyndee! We all experience these feelings at every level…. its just that, a different level. Hang in there! I could not have read this at a better time… this month my microphone broke, I’m re-recording a demo, also in the middle of re-branding, as well as rebuilding my studio from scratch after moving back from England. Glad I could make your day! Let me know if I can ever be of help.